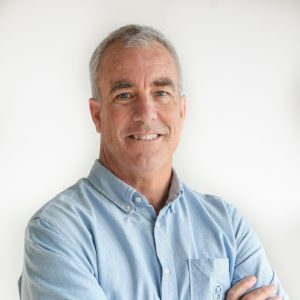 Kimo is well known in the sailing industry for his competitive racing experience and for his expertise in managing large-scale campaigns, including the Volvo Ocean Race and America’s Cup. In the 1997-98 Whitbread Round the World Race, he was watch captain and sailing team manager for Paul Cayard’s winning team, EF Language. Kimo was General Manager for the second place Pirates of the Caribbean entry in the 2005-2006 Volvo Ocean Race, and for the PUMA Ocean Racing team in the Volvo Ocean Race 2008-2009 and 2011-2012 editions. More recently, Kimo was aboard the yacht Comanche for her 2016 record-breaking race to Bermuda. Kimo’s professional sailing career includes competing in six America’s Cups, including a win with America3 in 1992. He is an experienced coach and has led many teams, including Bill Koch’s progressive America3 women’s team in 1995. An avid fan of North Sails and “the Pope” Lowell North since his youth, Kimo realized his dream and joined North Sails in 2013 where he leads the team of sales and service representatives in North America. Despite having to wear asbestos shoes to work some days and having to deal with more emails than a person should have to bear, Kimo wouldn’t trade places with anyone.